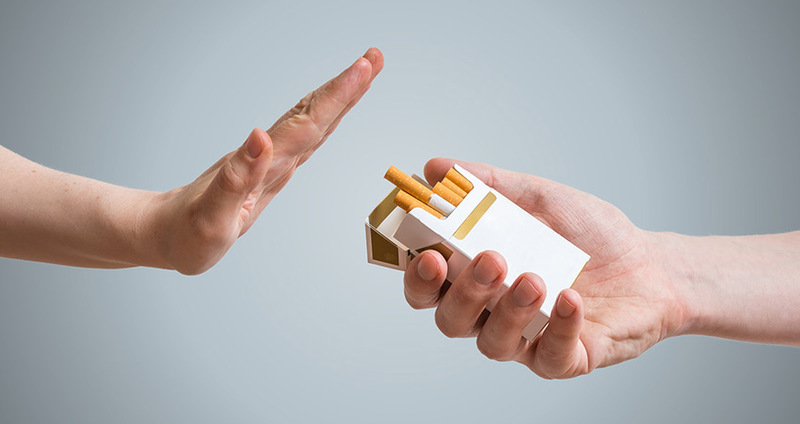 What health benefits are there to quitting smoking? Nicotine and carbon monoxide levels in the blood reduce by half and your oxygen levels return to normal. Carbon monoxide is eliminated from the body; lungs start to clear out mucus and other smoking debris. There is no nicotine left in your body and the ability to taste and smell is greatly improved. Breathing becomes easier. Bronchial tubes begin to relax and your energy levels should start to increase. Circulation improves. Oxygenated blood is flowing around your body and helping to improve your health. Coughs and wheezing improves and how well you can breathe increases by up to 10%. Your risk of a heart attack falls to about half that of a smoker. 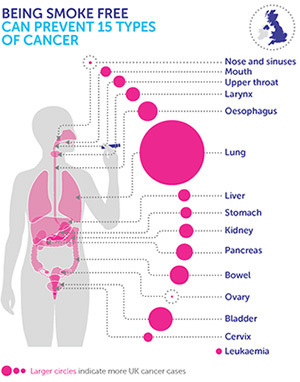 The risk of getting lung cancer falls to about half that of a smoker. Your risk of a heart attack falls to the same as someone who has never smoked.